This plugin dynamically show a login panel in the center of the page and allow user to login from frontend without need to show login module in the page. This feature is very useful if you created a web site for a customer and want allow him to login in frontend for manually add article, news, pictures and so on. In a "commercial" web site is not very good to see a frontend login panel but if you don't want your customer to login through backend admin page you have to find a way for show frontend login module only in "special" conditions. There are many solutions for have this result but this plugin resolve the problem in a very simple way. The working is very simple. You need to choose a "login word" for use as param to add to the site url. 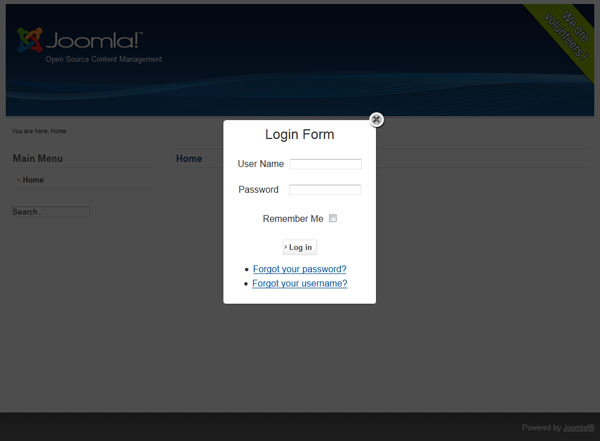 This additional param will show the login panel.